Last weekend, I had the pleasure of doing a demo for my claying guild, the Vancouver Island Polymer Clay Guild on covering altoid tins and giving them some ideas around "steampunking" them. "Do you want to do Steampunk Altoid tins instead?" I asked innocently. GRIN. Head nodding enthusiasm, with a few Yippes thrown in for good measure, erupted in our friend Barb's lovely art studio! And it just so happened LOL that our claying friend Barb has a formidable stash of altoid tins she was willing to share with us tucked away in one of her art table drawers. Claying in Barb's studio is FUN! After the summer break, she graciously made her studio available for us to clay in once a month. We aren't a big group so there is lots of room to spread out. And Barb has everything... and I do mean that! Stamps, texture plates, clay, paint, Pearl Ex... you name it... Barb has it in abundance. What fun it is to have permission to "paw" through her stuff to see what you can discover! She has to be one of the most giving, fun and sharing women I know. I spent most of my time showing some of the "newer" clayers some little tricks in preparing their clay, texturizing it and covering their tins while Barb and Deb, the more experienced clayers in our little group, just charged ahead. 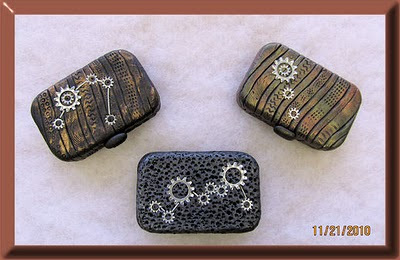 We used Pearl Ex to add colour to the black clay and emphasize the patterns in the clay. And Barb, bless her, just 'happened to have' some gears that she shared with everyone. Our claying friend Janet had to leave early so I don't have a photo of her tin but here's a photo of Barb, Deb and Irene's finished products... which doesn't do them justice at all! All they need now is a coat of Future floor wax to finish them off and give them some sheen and to glue the "gears" down. Conversely, you can use "Triple Thick" to give them a wet, glossy finish if that is more to your liking. It's hard photographing "metallics" so that they show up in all their glory... but didn't they do a *great* job??? This was Irene's first *big* claying project and she was absolutely thrilled with the results. 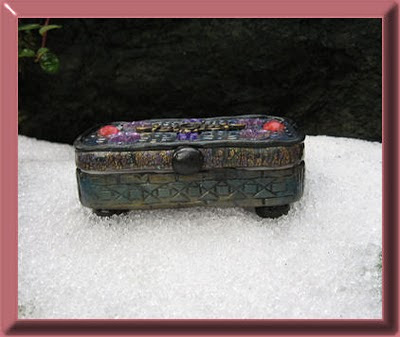 I usually make my little tins with small feet and a "drawer" pull and they end up looking like little jewel cases. There are lots of ideas for finishing the inside... you can glue in paper and make a little collage or just leave it plain. You can use fabric and polyfill on the inside for a lovely, soft padded effect. * A little sewing kit with a pin cushion, thread, tiny scissors, etc. inside. * A "fancy tin" to store your loose change for parking meters, parking garages or a quick cup of java at the takeout window! 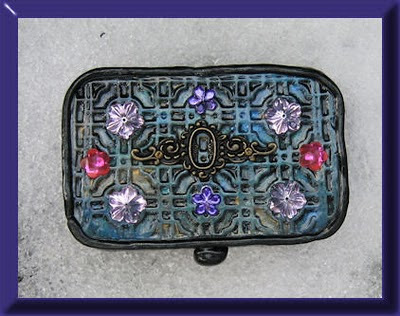 The tins tuck nicely into your purse (or your hubby's jacket pocket) and you'll never say *$%@#& again when you dump out all of your pocketbook change to "pay" and discover that all you have are pennies, nickels or dimes! * A gift card box... they are the perfect size. 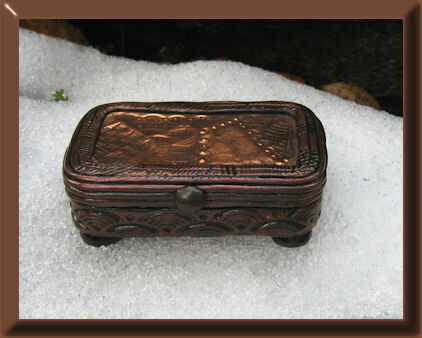 * A key or small trinket box for little stuff. * A place to store your IPod earbuds, batteries and the "memory" cards for your digital camera. *You can even make one of these tins into a portable media storage tin with the addition of a "memory stick"
What are some ideas you have for finishing these tins either with clay or without? Has this blog post inspired you to cover a tin for yourself or as a gift for Christmas? 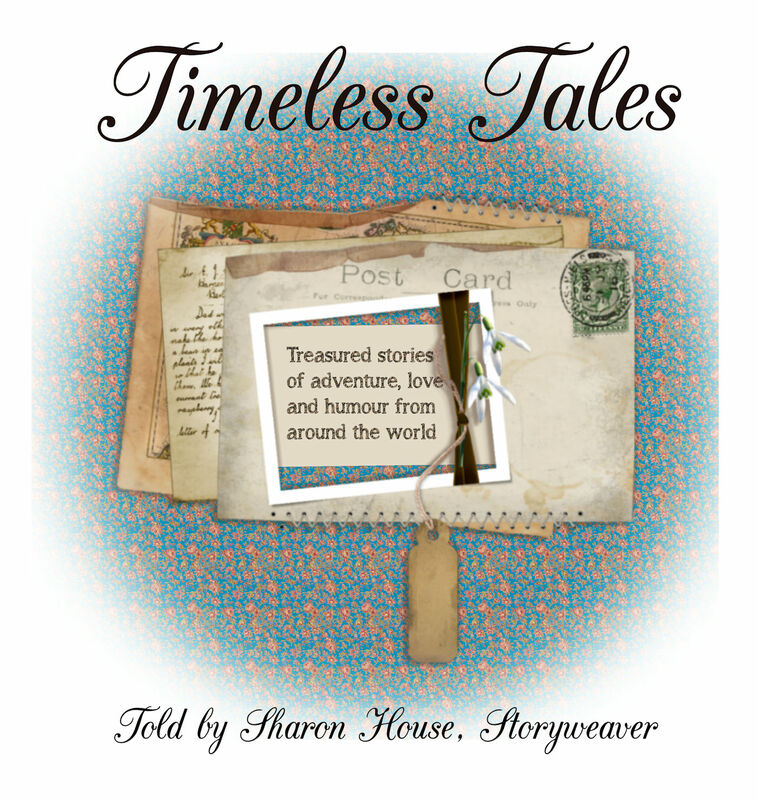 I'm sure all my readers would love to hear your ideas﻿ or see a photo. Leave a comment and let us know where we could see your "creation". If you don't have a blog, send me a photo, I'll publish it here for the world to see. I just spent a month cleaning and organizing my sewing room. Major re-organization with new storage shelves from IKEA, etc. In all the sorting I came across various small tins, including several altoids. Never knew what I could do with them, but no way were they going in the trash. Thanks for sharing these pretty gems.I saw your post on Yahoo AB site.I have lots of tins myself and often wonder what else to do with them, but I can't throw them out. brief tutorial on how they were made? Sharon, thank you for your sharing nature as well. We always have lots of fun when we get together in my studio. Nice boxes. I think I have some tins in the back of the closet that need to come out. Yours are inspiring. Nice group of ladies! Oh I would love to see some more information on the tins also. They are so cute and I have some tins that would be perfect. I have been making some tiny cottages BTW, only out of Cereal box cardboard though as my 3yo son has taken a shine them all and loves to paint/draw on them and I will send you some photo's soon. These tins are all wonderful! You have inspired me to branch out and try covering some tins with polymer clay. Brilliantly creative! Thanks so much for sharing! 'Wish I could join your group. I'll look you up when I move to Victoria. In the interim, you've inspired me to try covering a tin with polymer clay. Thanks again!